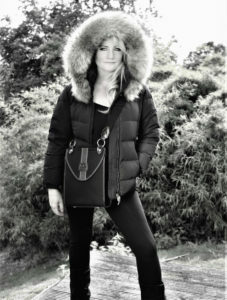 Verbier has long attracted a wealthy, fashionable and sporty clientele. 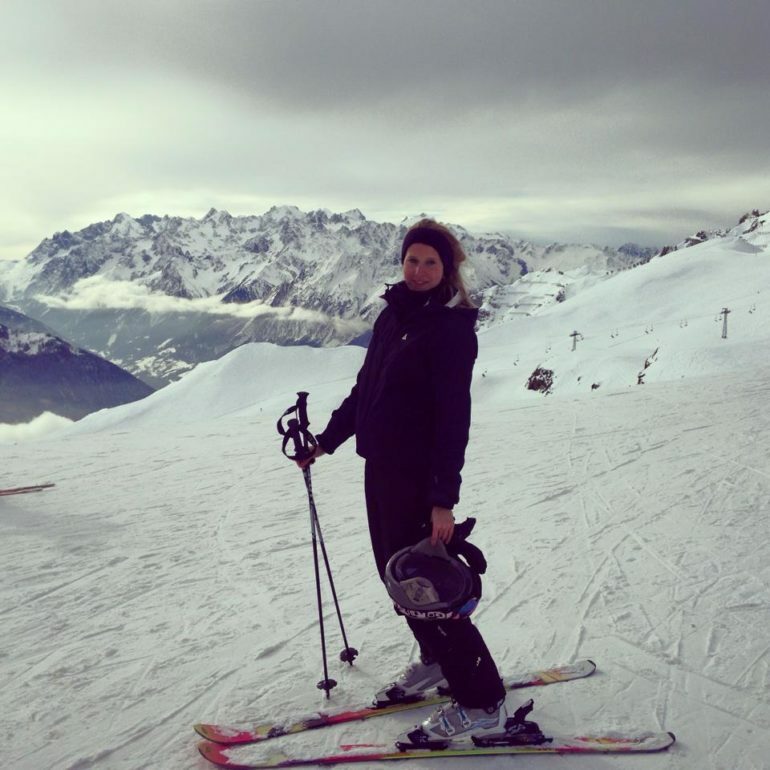 Sunny skies, easy access (roughly two hours from Geneva airport), unprecedented scenic views, adrenaline fuelled pistes and a lively, après-ski scene has made the resort increasingly popular for people travelling from all over the globe. 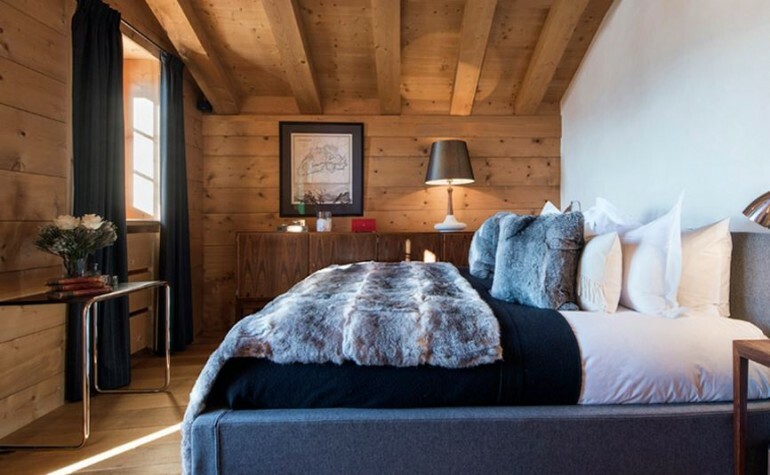 It’s no surprise then that The Sloaney jumped at the chance to review Chalet Hiver, one of eight luxury properties managed by CK Verbier and truly a home away from home. As soon as we landed in Geneva, it was clear to see that the staff at CK Verbier would go above and beyond to make our stay as comfortable as possible. Ten minutes had scarcely passed and with a glass of bubbly in hand, we were on our way to the resort in a fuss free transfer to the mountains. Upon arrival at the chalet, we were greeted by our personal chef Nick and hostess Karen, the sound of jazz playing on the surround sound and a roaring log fire. 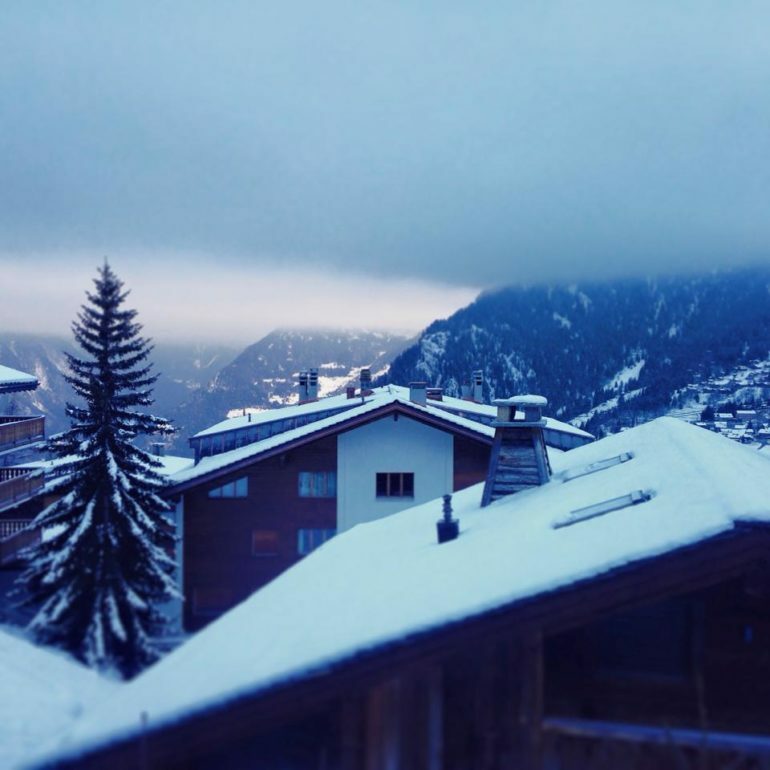 Our snowy home for the duration of the trip was Chalet Hiver, located in the very heart of the resort. Finished to the highest of standards, the chalet was so cosy that I began to wonder how I was going to motivate myself to do anything outside of its four walls. Fine wine, fur blankets, crackling fires and breathtaking views of the Swiss Alps from almost every angle (even from the bath) – this was clearly no ordinary experience. 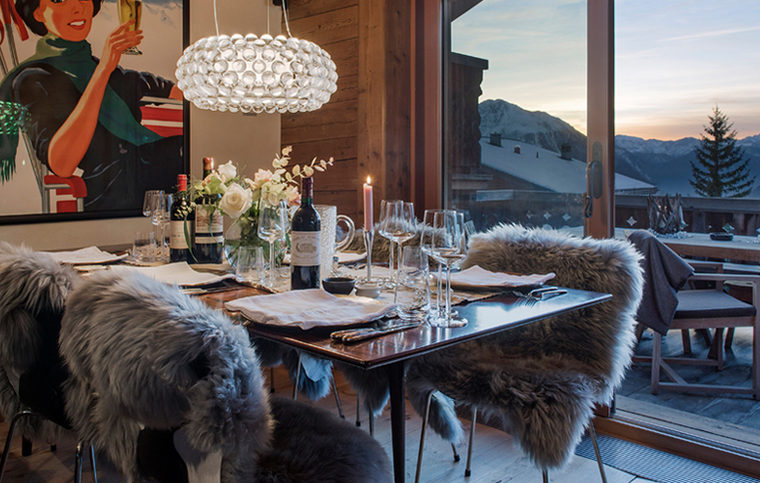 Each residence in CK Verbier’s portfolio is privately owned and comes fully staffed with a host, a professional chef and a dedicated chauffeur service 24 hours a day, which was a dream come true at the end of a long day skiing or a late night partying. Nick showcased his culinary expertise by preparing a series of delicious and imaginative meals for us, whilst Karen provided us with our every need. Breakfasts fit for a king provided us with plenty of fuel to kick start the mornings, freshly prepared cakes welcomed us back after skiing, delicious canapés and evening meals with views of the valley topped it all off (not to mention the espresso martini night caps and chocolate truffles…). Bella Coola is another of the chalets run by the company and it’s clear to see why it’s award-winning. With original Matisse etchings hanging from the wall and a pair of prehistoric elk antlers mounted in the living room, it is a show stopping space. Sagittaire is another, (but is more like private hotel than chalet with the capacity to sleep 31 people!) and is equally as impressive. With a full size pool, spa and gym to share between three separate apartments, it retains its Swiss charm despite its sheer size. As for the skiing, Verbier has some of the most challenging off piste terrain in the Alps, perfect for fearless skiers, but it also has its fair share of more relaxed routes for those wishing to take it easy. We were even spoilt enough to have Florrie, our own personal ski instructor from Performance Verbier Ski School show us the ropes for a couple of mornings. The conditions were close to perfect for the duration of our trip and just a minute from the main Médran gondola, it didn’t take us long to leave the clouds behind and reach bright blue skies and fresh powder. Better still, we all hate the hassle of lugging ski equipment to and from the slopes so it is a weight off your shoulders (literally) knowing that the concierge service will organise everything for you, from the ski hire at Mountain Air to stowing away your kit in the chalet at the end of the day. Heliskiing, paragliding and sledging are all on offer too and views at the very top of Mont Ford over 3000m up are breathtaking (and well worth a visit even if it means avoiding the treacherous ski down and jumping back in the cable car!). And when you’re not on the slopes? Le Rouge is relatively new to the scene and is the perfect après-ski hangout. The sunny terrace stays open until the early hours of the morning, so there is plenty of time to dance on the tables after you’ve tucked into the yummy menu. If you’ve really got some money to burn, they even have a private wine cellar that you can hire out, with sound proof walls so you don’t disturb the neighbours. 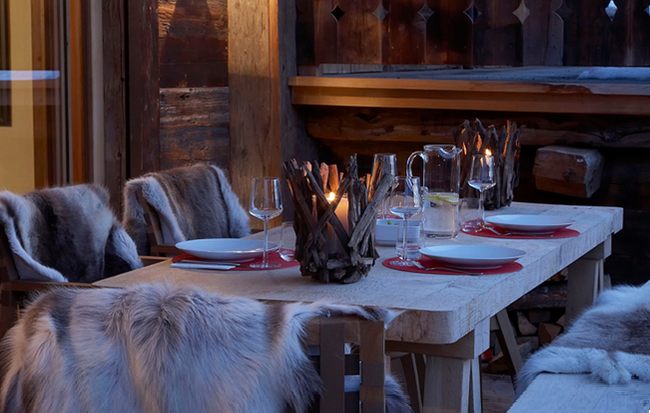 Le Farinet lounge bar is great fun and legendary amongst Verbier regulars, whilst a quirky evening at the supper club Etoile Rouge is not to be missed either. 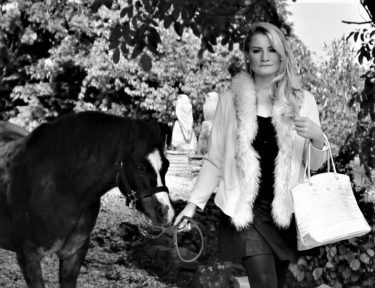 So pack your glad rags and say goodbye to your early night!